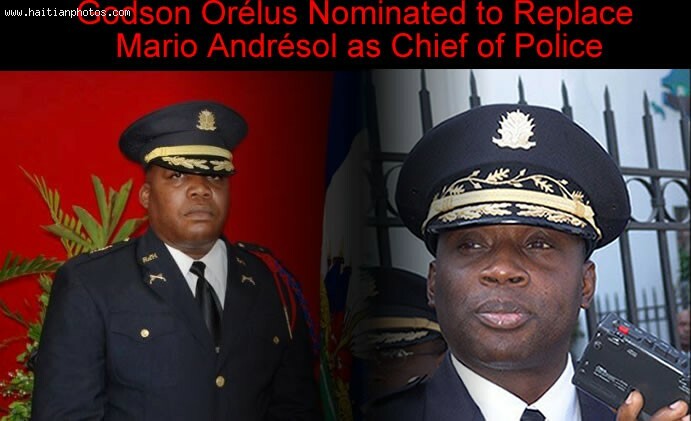 There is a connection to a previous killing recently at The Haiti National Police. 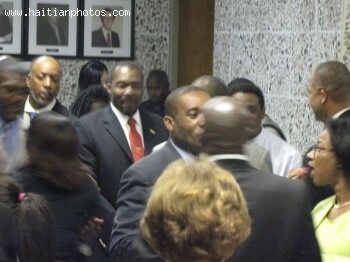 He was part of the patrol of another officer whao was also killed recently. 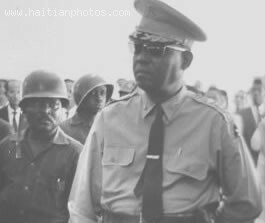 This is the Police Officer and Businessman Walky Calixte who was assassinated Assassination. 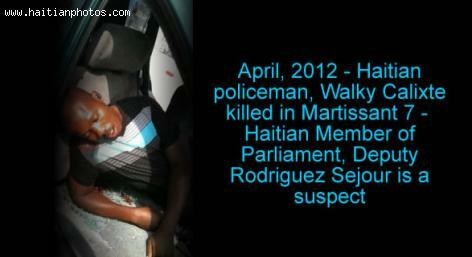 Based on information published by the Haitian media, policeman Walky Calixte was killed in Martissant 7. 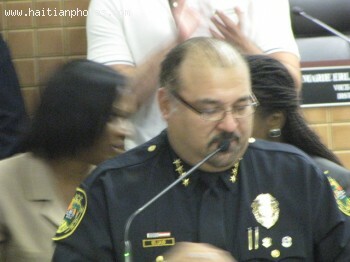 Some people have been pointing the finger at Deputy Rodriguez Sejour. 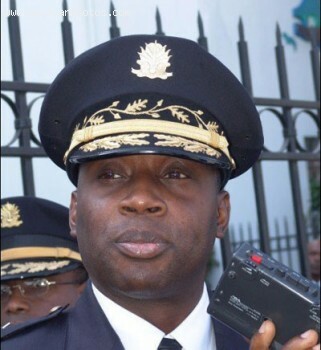 It has been reported on Haitian Radios that the driver of the Deputy Rodriguez Sejour was detained by police for having in his possession a weapon the Deputy says is his. 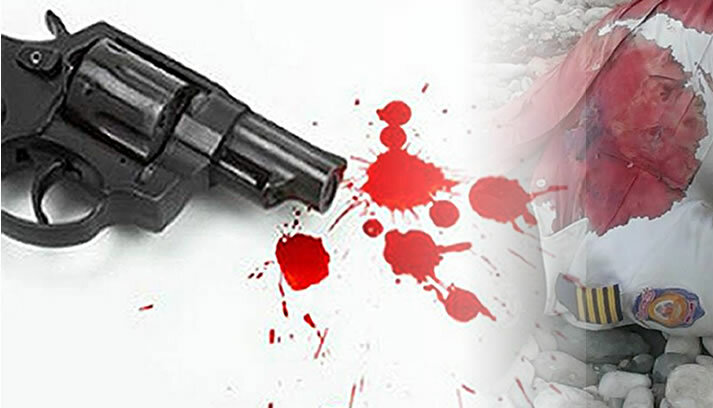 Although, it is often claimed by the government representatives that "Haiti is one of the safest destinations, not only in the Caribbean, but in all of Latin America", it is a fact that no reliable statistics is available on Haiti's crime rate. 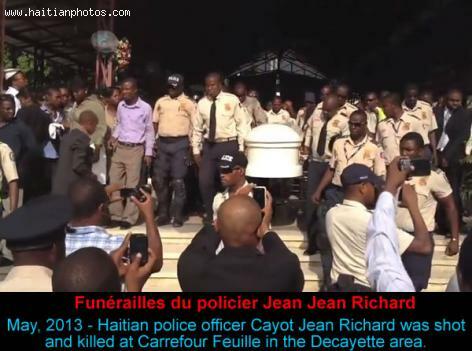 Furthermore, whatever figures are available from different sources, a comparative analysis indicates that the incidents of crimes in Haiti are under-reported. In the late 2012, the US State Department issued a travel advisory warning for the Americans travelers, but there's a change in the air. Haiti is loudly proclaiming itself ready to welcome tourists back to its shores. Haiti is one of the poorest countries in the Western hemisphere. So, by considering this, travelers should avoid displaying expensive items or large sum of money. Park your car close to your venue; never leave valuables in the car. Always seek advice from your local contacts or established organizations. Avoid travelling at night and it is best to avoid travelling around Haiti alone, especially in the deserted places. 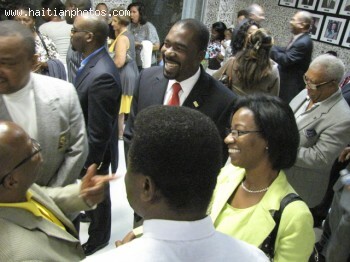 Extra care should be taken while visiting downtown Port au Prince, because that place dominates the crime statistics. The long-standing policy of the British Government of paying ransoms for the release hostages, naturally, encourages kidnappers of further hostage taking. The guidance that we have given here, are practically very normal defensive practices which every traveler should follow to stay safe while visiting a new place--no matter whether it is Haiti, the United States or France. Haiti holds a full hand of attractions for travelers. 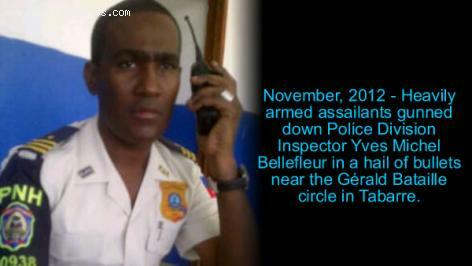 This is a picture of the Police Division Inspector Yves Michel Bellefleur who was Assassinated.